On Fridays, Rosewood Gallery offers a lunch break that’ll refresh and recharge your mind and body after a long week at work. 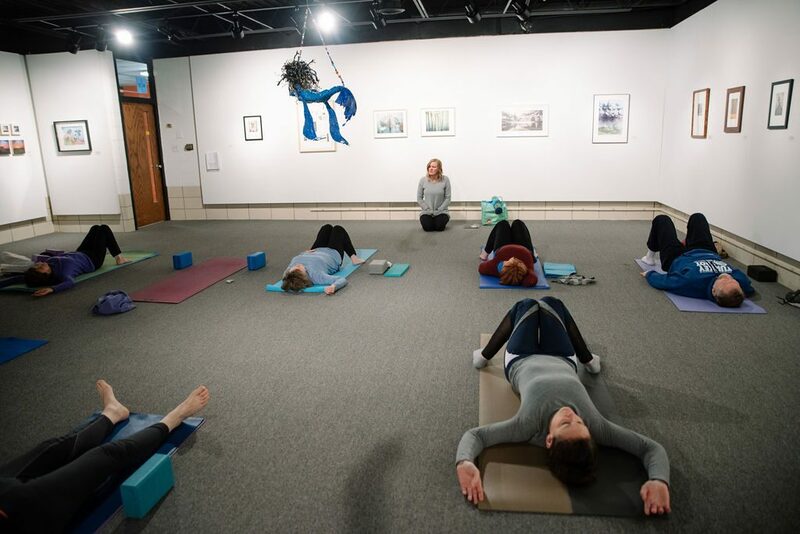 From 12 – 1 p.m., instructor, Robyn Moore, leads participants through Yoga in the Gallery. This open-level class is a relaxing, unique way of enjoying both the practice of yoga and beautiful artwork. Moore has been teaching yoga for ten years and practicing for 18. She’s been the program’s instructor since it started over five years ago. 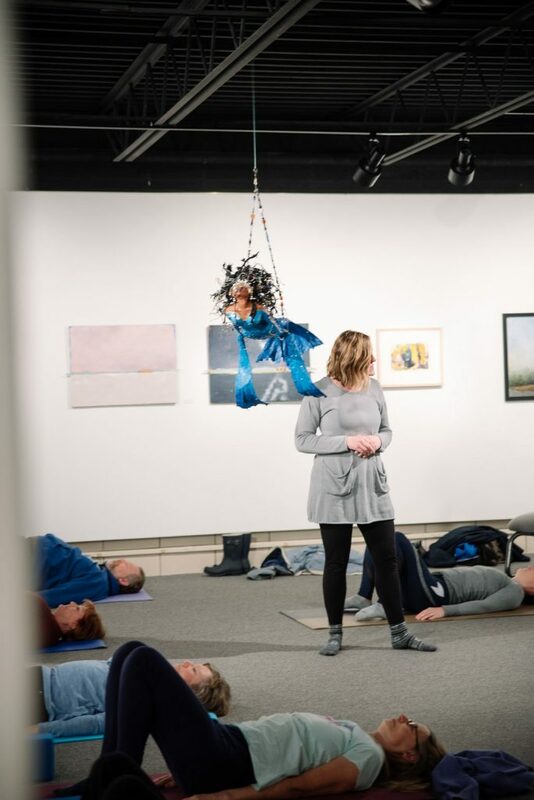 “[Cultural Arts Division Manager] Shayna McConville and I had a mutual friend who knew Shayna wanted to get yoga at Rosewood, and we met and planned our approach,” she explained. 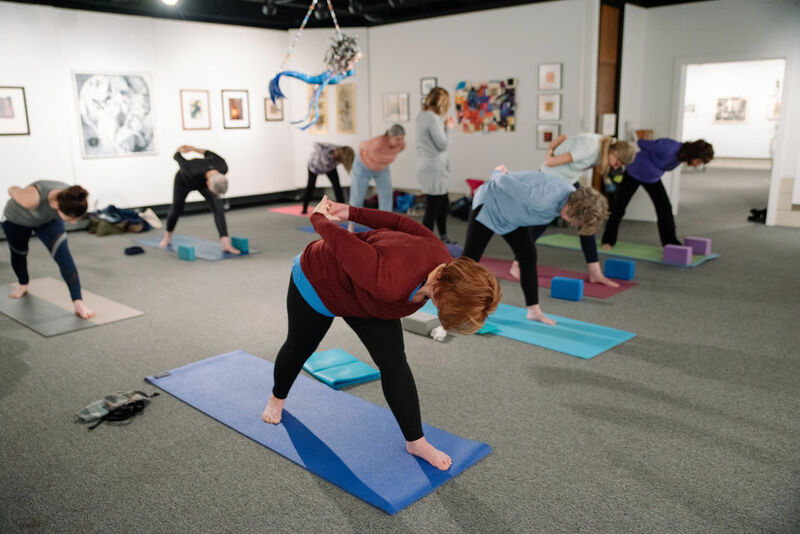 Yoga in the Gallery is offered Fridays through April 5 from 12 – 1 p.m. at Rosewood Arts Centre. This is a drop-in program with no preregistration required. Fee is $5 Kettering residents; $10 nonresidents. Learn more about Rosewood Gallery.